When new speakers launch, they will often come in one, maybe two, styles. If your listening room decor doesn’t quite line up, too bad; you’ll have to wait to see if they introduce new cabinets or speaker covers in different colours sometime down the road. 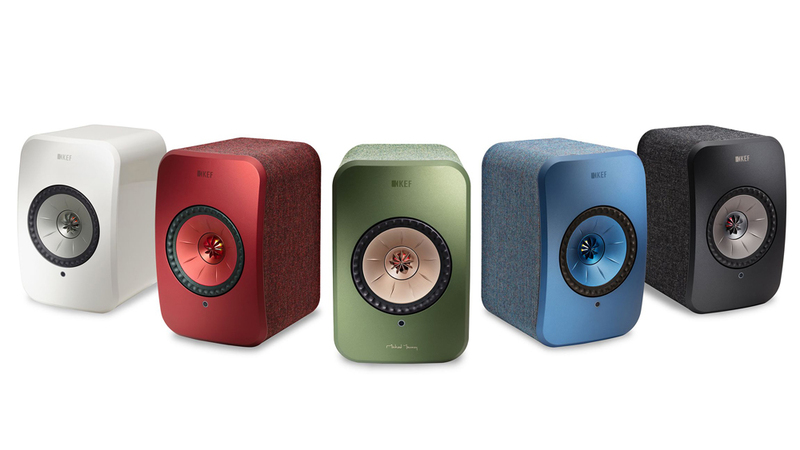 However, the latest wireless speakers from 57-year-old British audio manufacturer KEF are not only acoustically impressive, but come in a variety of colours right from the start to better suit your personal style. Simplicity is the name of the game when it comes to the dual-speaker LSX Wireless Music System—the next evolution of the brand’s popular LS50 Wireless speakers. The petite bookshelf speakers stand just under 25cm tall and weigh just 3.6kg each, letting you be versatile about where you place them around the house. In fact, that’s one of their strongest selling points; they’re a great way to bring music into practically any room in the home. Thanks to the system’s wireless connectivity, they can pair with your Apple source devices like iPhones and iPads using the built-in AirPlay 2 support, which lets you use Siri to control your music. The speakers also have native support for Tidal and Spotify Connect, as well as Bluetooth 4.2 for other devices. 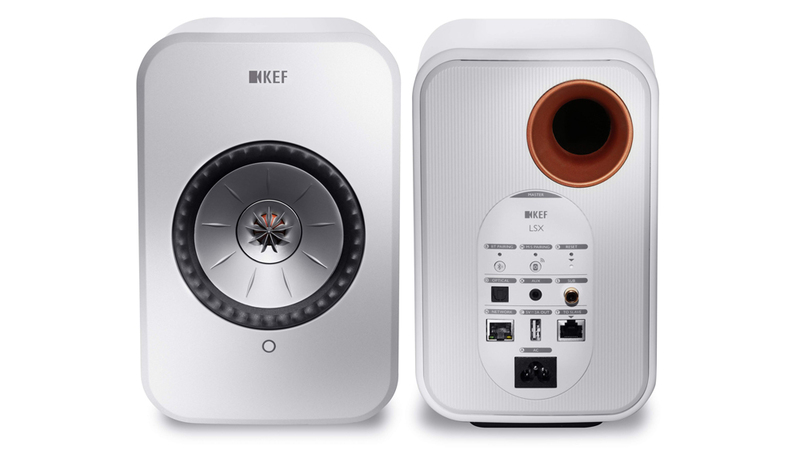 The speakers each feature a 10cm Uni-Q array—a signature technology of KEF that places a tweeter in the middle of a mid-to-low frequency driver so both drivers are producing sound from the same point source, minimizing audio confusion. Each speaker delivers a frequency response between 54Hz and 28kHz, which, while respectable, is a little high on the bass end, so the master speaker features an output jack for a subwoofer to give things some more kick. 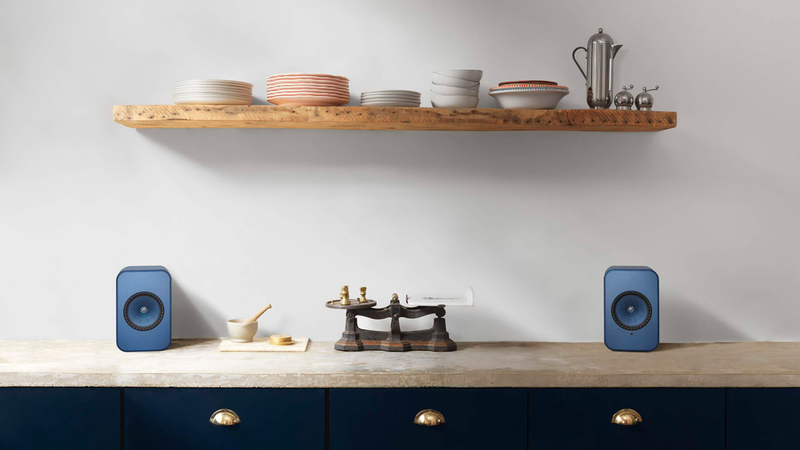 The LSX Wireless Music system comes in five different colour schemes: black, olive, blue, maroon, and gloss white. The price for a pair is $1895, but these are the types of speakers you order in multiples so you can rock out in every single room in your home.